Today I’m taking back home this tutorial for sewing a lined lace skirt in any size (from Newborn to Woman XL), as seen on Mabey She made it this summer! Enters: my version, a knee-length gathered & lined skirt with Couture finishings: no raw edges (excluding the scalloped lace hem…), outside and inside! If you need some tips on working with this material, please check my post about sewing lace! 1″ (2.5 cm) height flat elastic. 1. 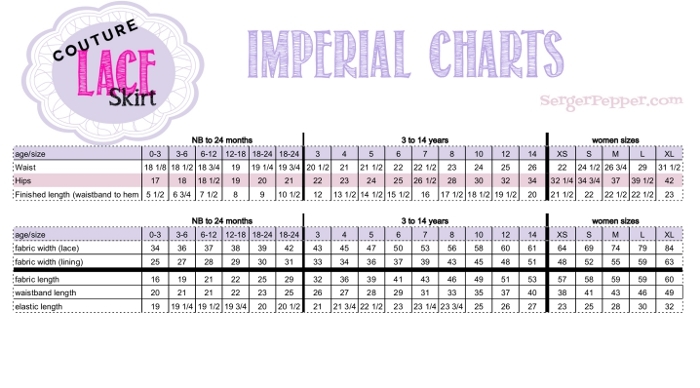 First of all choose your size on charts below, basing on hips measurements. you can attach together more different pieces of fabric, there’s no need to have one only piece of fabric with given measurements! 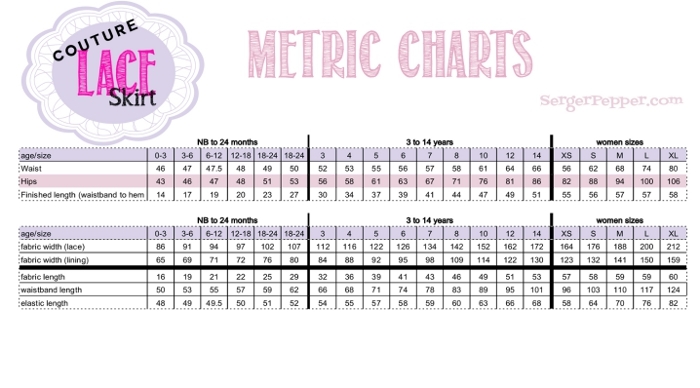 measurements includes 3/8″ seam allowances! 2. 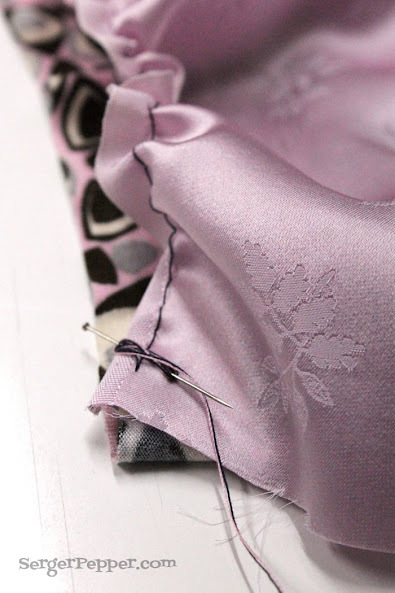 Let’s start from… the end: hem your lining now that it’s everything flat! To do that fold the bottom (if you’re using a directional print) long edge to the wrong side, press and repeat. Topstitch to secure the hem. To add some pizzaz, I made a contrasting hem facing, faux-piping style, using a strip of the same fabric used for the waistband, long as the lining longer side, 2″ height. If you like how it looks, fold the strip in half, wrong sides together, aligning the long edges and press to crease. 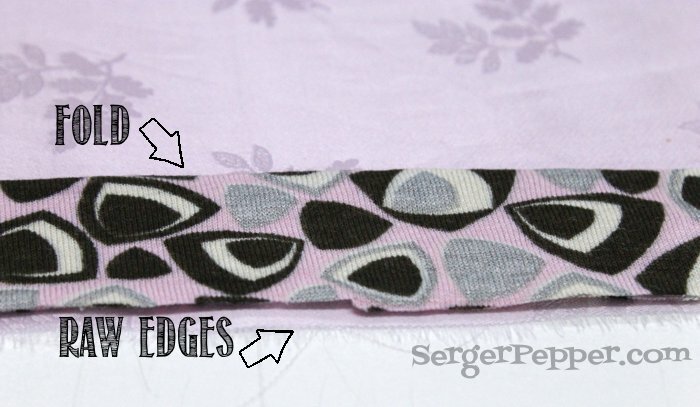 Align the strip to the hem of the lining part, matching raw long edges. Pin, then stitch using 3/8″ (1 cm) seam allowances. Press the facing toward the wrong side of the lining: I like a little bit of fabric peeking out, so I pressed it leaving it showing to the front just a smidge. 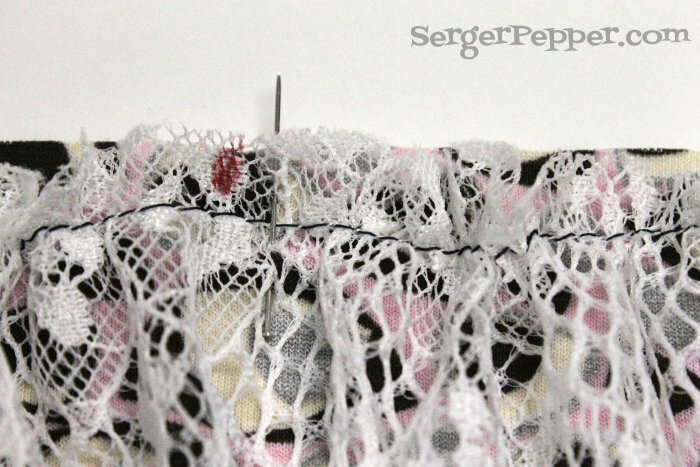 I’m not going to hem my lace layer, because of the scalloped hem; if you’re using a different kind of lace, you can hem it too (consider that often lace don’t frays… check if you can skip this step)! 3. Gather both layers on their top long side (opposite to the hem); they need to fit to the waistband length. To help you putting everything together later, mark with a sharpie a dot at the mid-length on each long side of the waistband and on the top long edge of both lace and lining. Don’t know how-to gather? 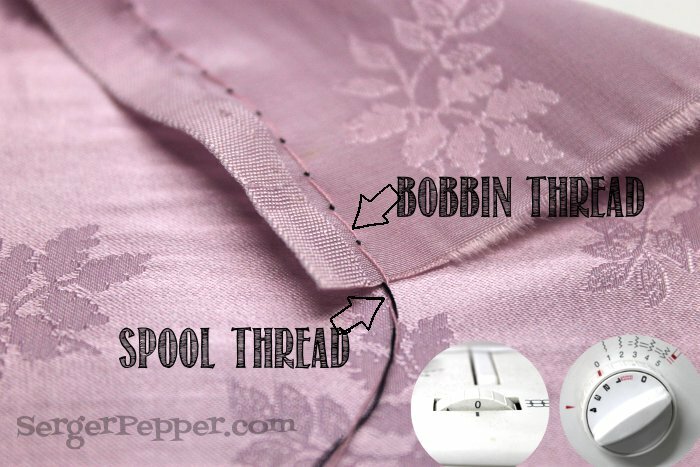 Using your machine baste stitch (long stitch and no spool tension) without backstitching and leaving long thread tails, then pull bobbin thread. Using a different color on spole/bobbin can help pulling the right one! 4. Pin both layers (separately) to the waistband, paying attention to their right/wrong sides. Lace to waistband: right sides together. Lining to waistband: lining wrong side together with waistband right side. 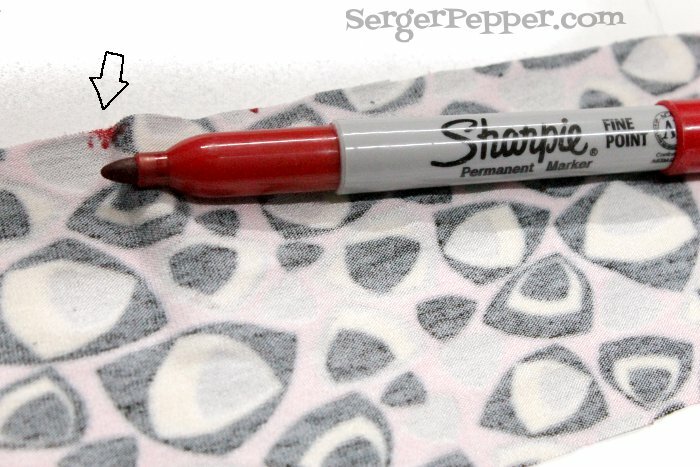 Help yourself evenly distributing gathers by matching your Sharpie halfway points! Pro tip: when you’ve gathered enough each layer, fix thread tails to a pin on each end, making an “8” around it (head-toe-head-toe) so it won’t move while you pin and sew it! 5. Attach layers to the waistband using an elastic stitch (on a sewing machine a triple straight stitch would be my go-to choice!) or directly serging (like I did). Press seam allowances toward the waistband, on both sides. Pro Tip: try not to stretch too much your waistband while sewing to avoid a curly seam! 6. Fold the rectangle (=your skirt) in half, Wrong Sides Together (the opposite you do 99% of time); carefully pin where waistband seams are crossing, to ensure accurate (not-homemade-looking) results. 7. 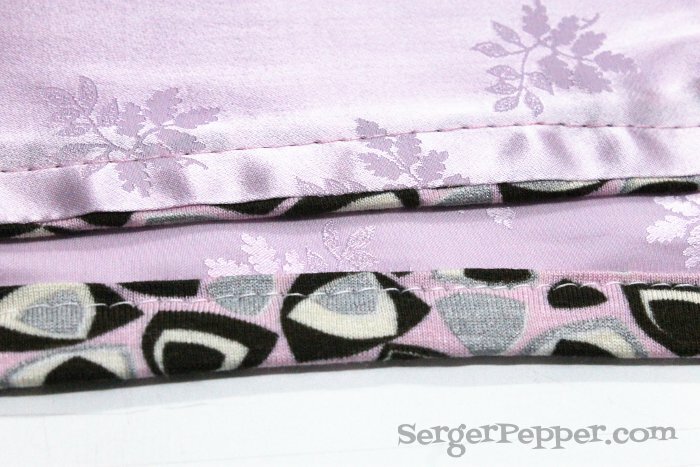 Sew (or serge) using the smallest seam allowance you can. Press seam flat to one side (to “set” stitches in fabric). Turn the skirt wrong side out. 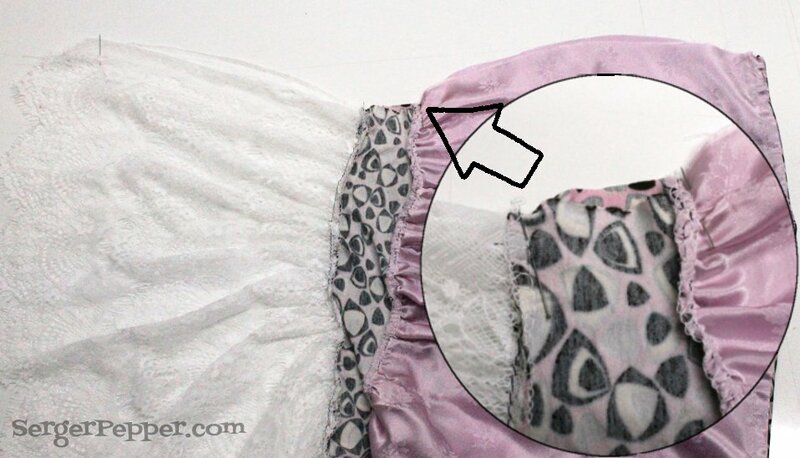 Right sides together, press the seam again. Stitch the second seam enclosing the raw (or sergerd) edges of the first seam. 9. 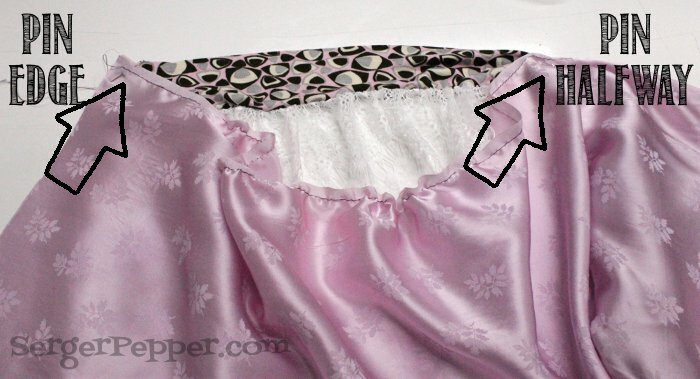 Press your french seam (yesss! You did it!) 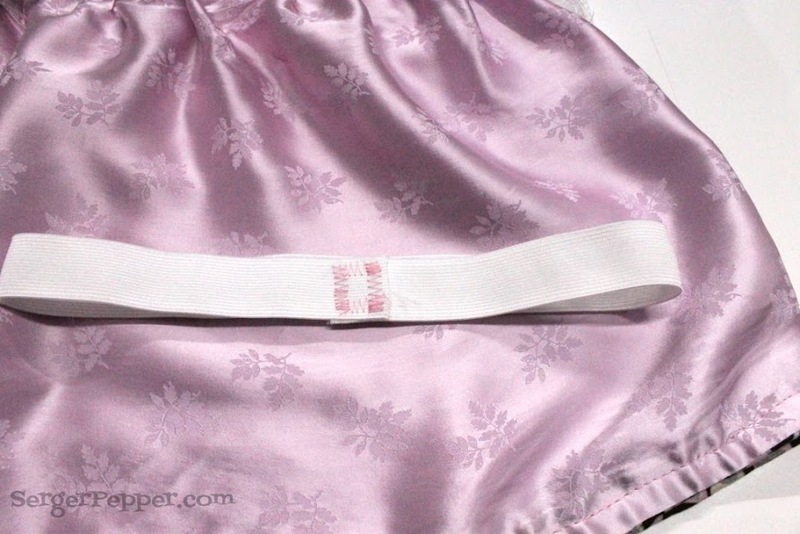 toward one side and topstitch (optional) to help it laying flat on the inside of your skirt. 8. Close elastic band in a ring (double-check you’re not twisting it! ), overlapping its ends by a scant inch. Stitch across to secure (go back and forth a few times with a zig-zag stitch… just to be sure it’s not coming apart in no time). 9. Slip the elastic ring around the waistband wrong side; sandwich the elastic inside the waistband and pin it along the top crease of the waistband (to keep it out-of-the-way while sewing the last seam). Stitch in the ditch of the waistband, placing the two seams (the ones you pressed toward the waistband on Step 5) one on top of the other; leave the elastic free to move inside its casing. 10. Wear, twirl, take some shoots and post them on Serger Pepper Flickr shared board: can’t wait to see your newly made Couture Lace Skirt! … can you see the hem facing peeking out? Aren’t they nice? Ok! Ready to spin your Hula-Hoop around the waist! I’d love to hear from you: do you like lace skirts? Are you ready to sew one? That is so cute. Your tutorial is easy to understand and is great. I do not have a daughter, but my sewing friend has a granddaughter, I think I will have to make something like this for her. Oh, Kelly, you’re so nice! I can’t wait to see your friend’s granddaughter’s skirt, if you’ll ever decide to sew it. I think that choosing the right props is what really makes the photo shoot! Such a darling skirt Irene! I think you should do it for you, it’s a great style for any age, in my book!